To write an expository essay means to convey information in such a way that your reader can understand it. It’s an essay comprised of facts and nothing but the facts. Biographies and non-fiction can fall into expository writing. Journalism is another example of expository writing. In this kind of writing, you will most often find facts, statistics, and examples to support the information that the author is writing about. Emotions and personal opinion are strictly left out. An expository essay is typically written in the third person, meaning that you do not use “I” or “You”. Before beginning your writing, extensive research and reading must be performed on your essay topic. You must have a clear understanding of the subject before you can attempt to explain it to your audience. Once you have reached a point where you feel that you completely understand the topic, then you may begin your writing. Decide which method you plan on using to back up your essay. There are various ways. You can use process analysis, cause and effect, compare and contrast or you could decide to use definition, classification or example. This will require some thought on your part before you begin your writing as you will want to find the most effective way of showing the reader about your topic. Be organized, know how you will present the essay by choosing the most effective way to divide and present the information. Now that you’ve done your research, it’s time to come up with a thesis statement. This should be a clear concise statement that leaves no question as to what the essay is about. After you decide on your thesis, now it’s time to write your paper. Be sure that every paragraph is tightly written with a distinct topic. Begin with a paragraph that performs as an introduction. Within this first section, you should be able to state the thesis along with the various supporting topics in such a way to gain the reader’s interest. Then within the following paragraphs, there should be a topic sentence to begin each one. Then every sentence within those paragraphs needs to reinforce that particular topic. Keep everything you say factually. An expository essay is basically reinforcing and supporting a topic with known analysis and statistics. It helps to make references to another’s work or paper that relates to the topic you are writing about to assist the reader in their understanding. Finally, the thesis statement needs to be tied to the topics stated in each paragraph. This is going, to sum up, the entire paper for the reader, therefore, no new material should ever be introduced in the concluding paragraph. Revise your paper upon completion. The first draft will be basically a sum of your thoughts, analysis, and reporting. A revision will enable you to determine if you are using the most effective words to convey the message to the reader. 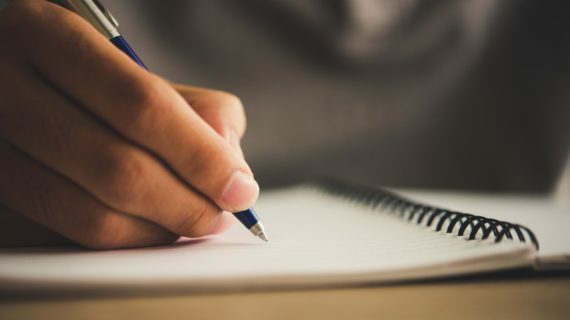 Since expository writing requires that every paragraph be tight and well-defined, performing revisions on this paper is a must to ensure that your thoughts have not wandered during the course of writing. Expository writing is a practice used in all career fields. You’ll most likely find yourself at some point having to put together a paper showing why something is, what makes it that way? You’ll find yourself in a position where you’ll need to show a complete report on a subject whether it be to a superior at work or to clients. Writing an expository essay means writing with confidence about something and being accurate with your facts. Knowing how to put together a professional looking report for someone will go a long way in gaining their trust in your abilities.